Information about Google's Nexus 5 isn't difficult to come by, not when the device is mistakenly showing up on the search giant's own Google Play store. But the last key piece of the puzzle—when the device will actually be released—still hasn't been revealed, though evidence suggests something is imminent. Inventory from an unknown retailer, which clearly outs the Nexus 5 (and Nexus 4 in white, in case anyone is still interested), is adding even more fuel to this out of control fire. You have to wonder if Google is worried consumers will be underwhelmed by an actual announcement since we've seen the device so often over the past month. The past few days alone have provided plenty of information that suggests the Nexus 5 is looming, with the latest leak suggesting we'll see the device arrive on Friday, Nov. 1. The information came from prominent leaker @evleaks, who is typically a solid source of information, but we've seen supposed release dates come and pass before. Pretty much every day in October has been rumored as a platform for a release, though with the device now allegedly showing up in store inventory, it appears we'll see an official launch soon. For real. Not much is said about the screen cap you see above, such as which retailer it belongs to and when customers will be able to purchase the device. 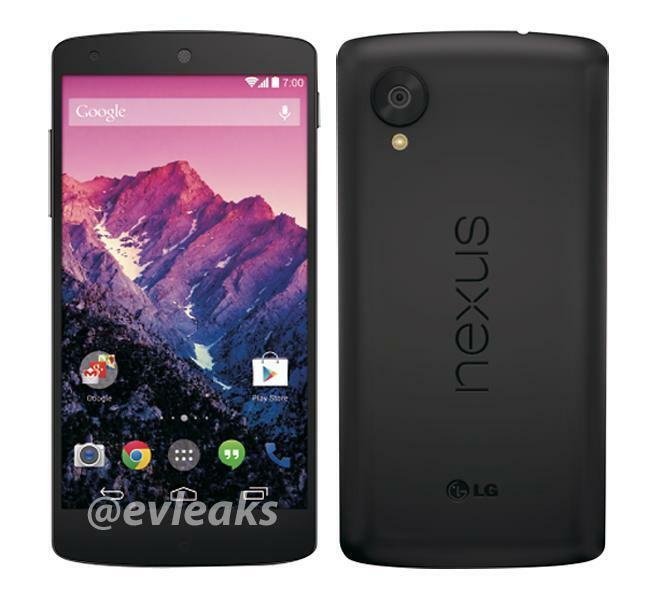 At least both black and white versions of the Nexus 5 will be offered at launch. When that'll be very much remains to be seen, but we're definitely on the edges of our seats.